Even if you don’t believe in fate (I don't) there is certainly universal truth in this message, as said by a wise old man in the movie "My Sassy Girl" – an American remake of an enormously successful Korean hit, an equivalent to Titanic in Asia. 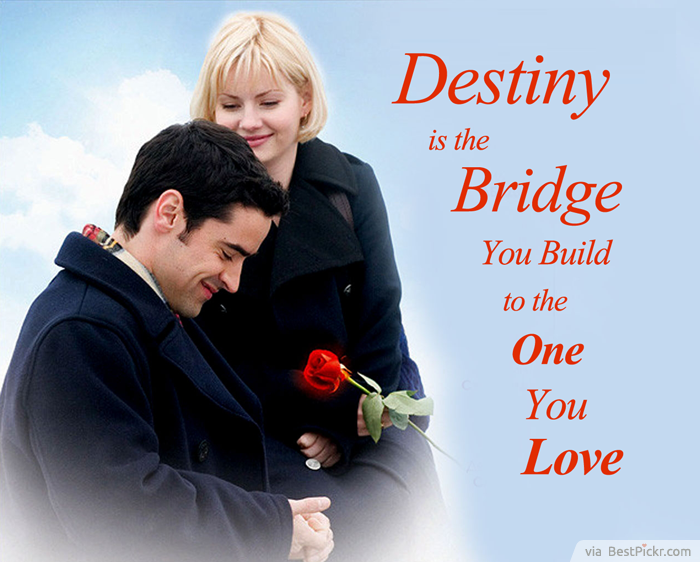 This is one of my most favorite romance movies, staring hot Elisha Cuthbert and Jesse Bradford in a plot of a nice guy who has fallen in love with a drunk girl. This movie is apparently based on a true love story written from a series of blog posts by Kim Ho-sik, later adapted into a fictional novel.